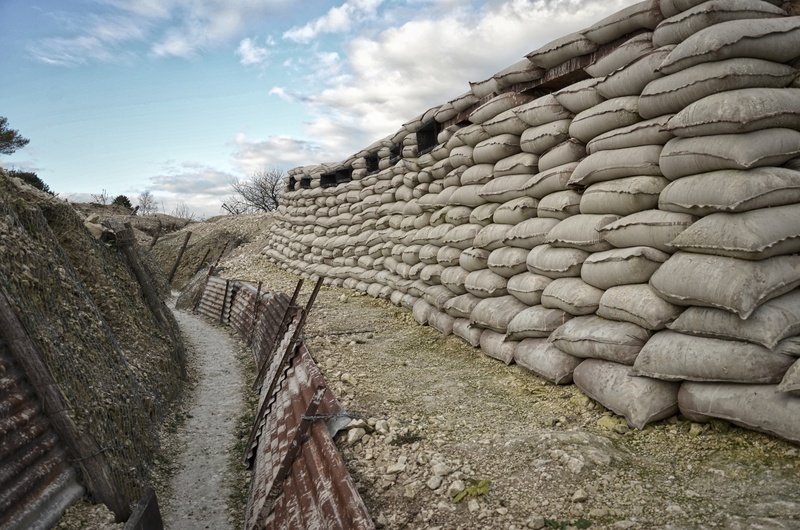 The First World War trenches at Main des Massiges have featured several times on this site recently and understandably so as they are among the most impressive anywhere on the Western Front. 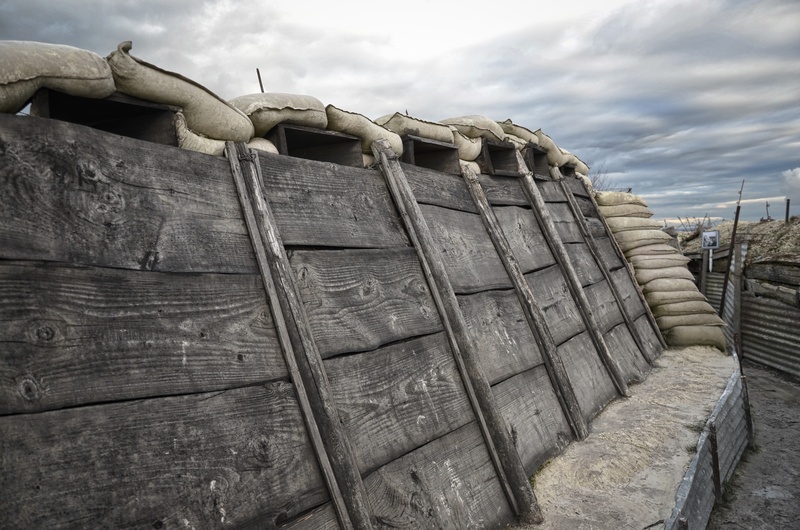 Here a local association has used experimental archaeology to recreate both French and German trenches from the early war period. This was an area that saw heavy fighting in 1915 including some of the earliest examples of war underground with the explosion of several sizeable mines in February 1915. Two of these mine craters form part of the site. 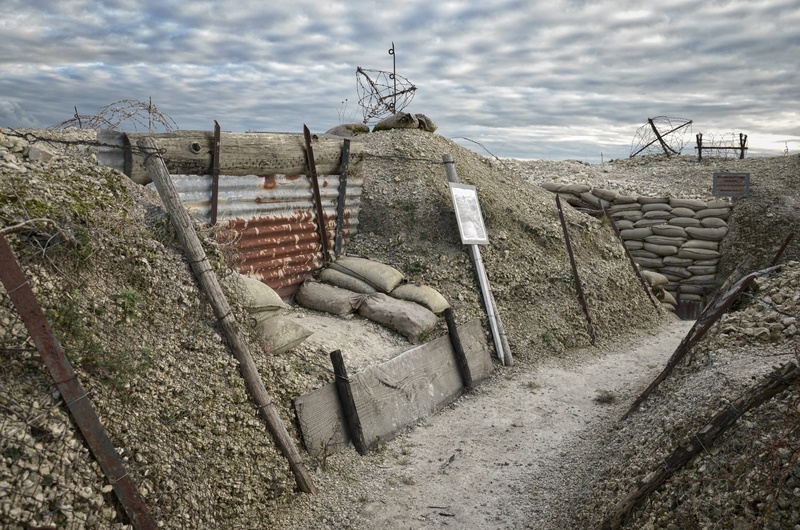 The trenches here have been used by film companies and many magazines and publications. Great War re-enactors regularly use them for events and photo shoots. The site is open to the public and is free to enter but as can be imagined it is under video surveillance and people in the nearby village keep watch on the site as well. It is a site little known by British visitors but is mentioned on the French WW1 Centenary site and also on the Reims WW1 pages for the Champagne battlefields. There is no doubt this site gives a true insight into a Great War trench system in a way that few other sites do. 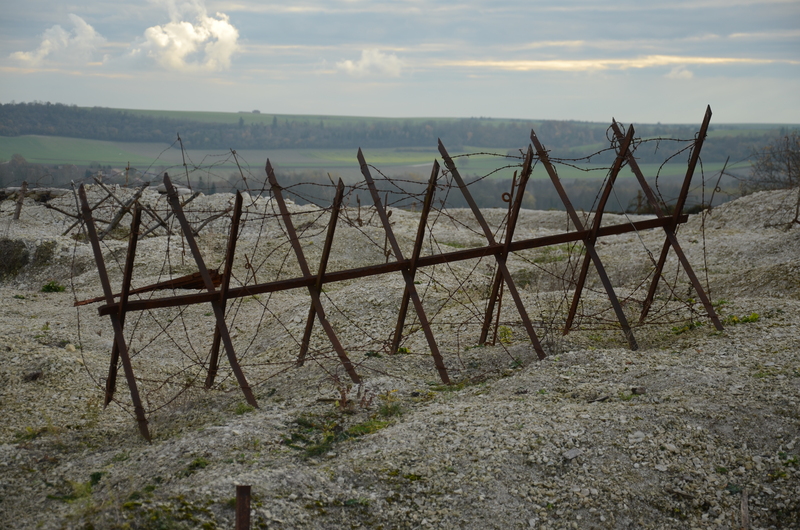 With barbed wire defences, firing positions, dugouts and even an aid post it is certainly worth a visit. You won’t be able to walk there from Reims or get a bus as there is no bus service to that location. I would advise renting a car as a taxi would be expensive. I visited this site this summer. 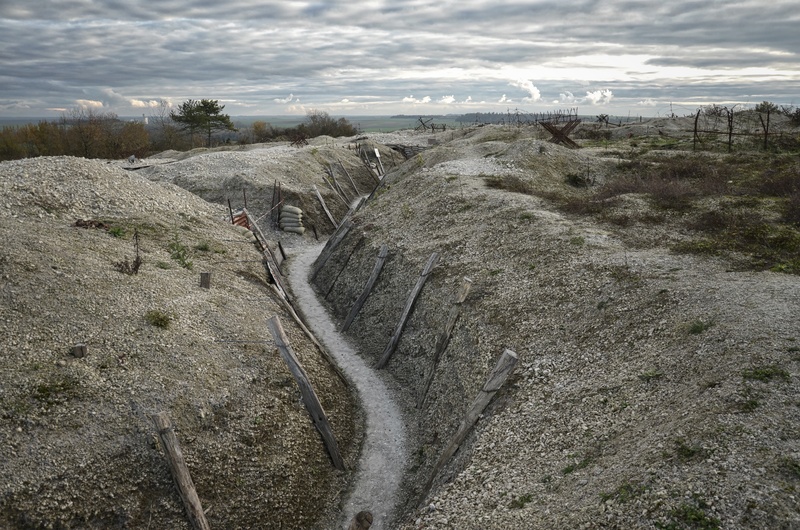 This “hand of Massiges” is recently uncovered and already the most impressive of all remaining trenches in France. A Must See for WWI-enthousiasts.